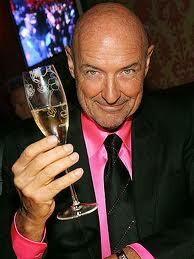 Support the independent motion picture Using with Emmy nominated actor and guest star, Terry O’Quinn from ABC’s Lost. From 8 p.m. – 11 p.m. on Saturday, August 31, join Fresh Bread Productions and Phenom Features for "An Evening with Terry O’Quinn - Benefit for Using" at Park West (322 W. Armitage, Chicago; 773-929-1322). Tickets are $50 for students a nd industry professionals, $125 regular or $250 for VIP. Attendees must be 21 and up. The event raises funds for the independent film, Using, written and directed by Thomas Quinn. The event features a VIP red carpet entrance, hors d’oeuvres from Phil Stefani Catering, cocktails, a live performance by local pop/rock group Aubyn Beth and a silent auction. Auction prizes include tickets for a variety of shows, including The Emmy Awards, ABC’s Dancing with the Stars, CBS’s The Late Show with David Letterman and Pritzker Pavilion Grant Park Symphony & Chorus. Other prizes include dinner for two at Bonsoiree Restaurant, or tropical vacations to Caribbean resorts including Spice Island Beach Resort in Grenada, Harbour Village in Bonaire and Nisbet Plantation in Nevis. Join the pre-event auction on ebay for a chance to win a private dinner for five with Terry O’Quinn at Gene & Georgetti at 6 p.m. prior to the event. VIP ticket holders can get their photo taken with actor Terry O’Quinn, director Thomas Quinn or producer Kymberly Harris. The mission of Fresh Bread Productions is to bring independent features to each community. The business goals of Fresh Bread Productions are divided into three concepts: apprenticeships, film viewing and growth of independent films. For more information about Fresh Bread Productions and Phenom Features, visit phenomfeatures.org. To purchase tickets, contact Michelle Durpetti Events at (312) 988-9900 or visit www.benefitforusing.eventbrite.com. Tickets will be sold at the door with cash or credit cards.